Sadly, the all day rain forced a cancellation of this year’s main women’s event. Thank you to all the ladies who optimistically came out. And thank you to the organizers, who had everything prepared anyway. It was Luigi who made the final call. 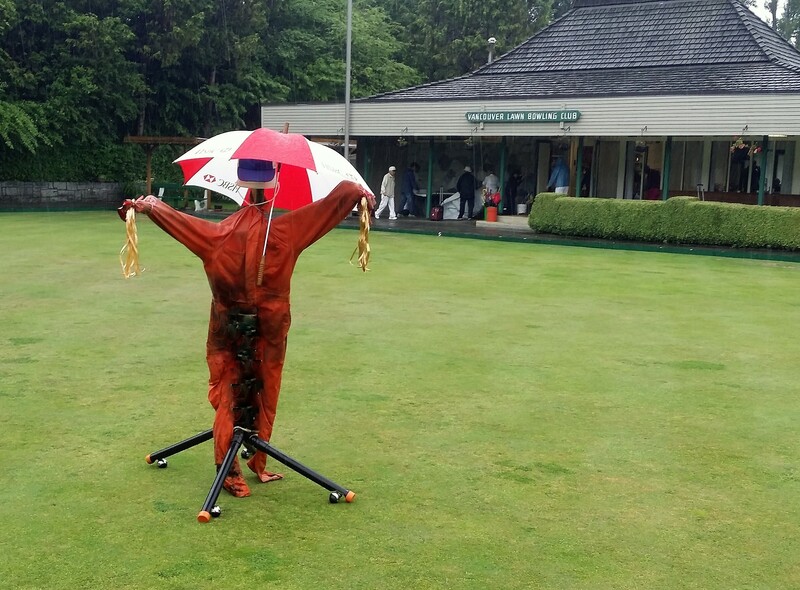 Luigi, DDC, hMDG, our Designated Dispatcher of Crows and honorary Major Domo of the Green, who invoked the 2″ Rooster Tail Rule: where the rooster tail behind a rolled bowl is determined to be in excess of 2 inches in height, the game shall be cancelled.